Differentiate your customers experience by offering them high-quality custom aprons! An indispensable accessory for your kitchen’s customers to cook either pasta or a menu worthy of the biggest tables. This vintage kitchen apron turns any Sunday cook into a Michelin-starred chef. Such marketing products will make your customers happy thanks to an original design and a high-quality material. They will enjoy an apron which composition is made out of 100% cotton and resistant material, adjustable cords and easy to care for. For sure, you will bring light to their kitchens. Furthermore, on the vintage apron, you will be able to put your brand logo easily and thanks to a great visibility of your brand image, your company will experience an increase in sales. See the example above, how Carlsberg added their logo on the leather patch. 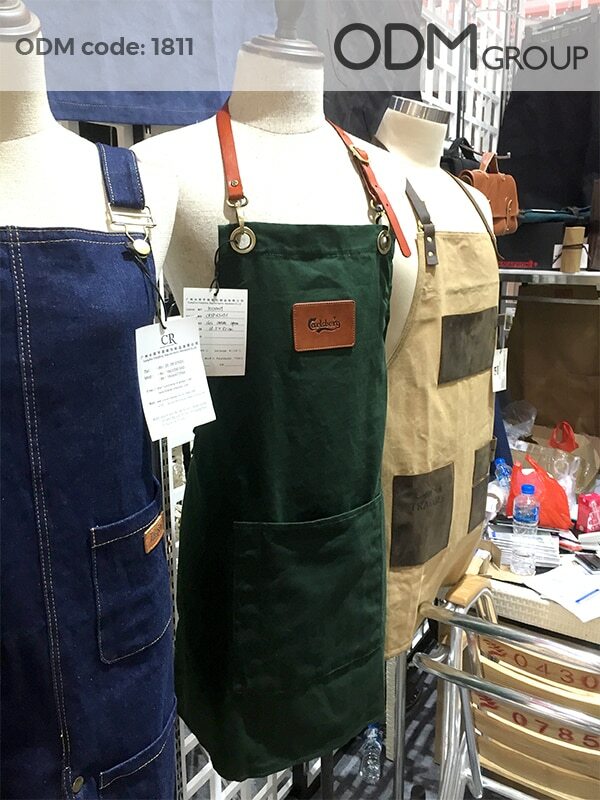 They made the apron in the variation of their brand green colour, which is a bit darker and softer. This made the apron look more premium and shows a good vintage-style combination with brown leather. 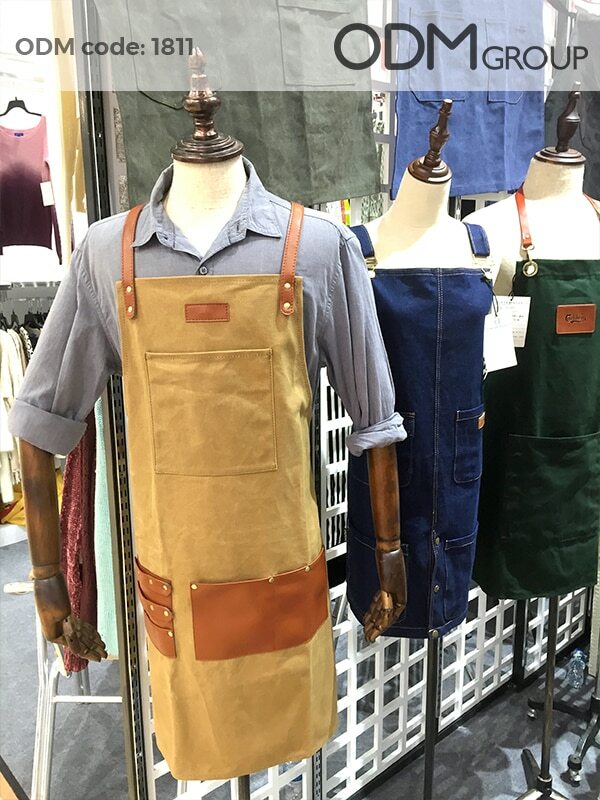 In addition, those high-quality vintage aprons come in a huge range of colors which you can customize in different ways. As a result, with such a unique product, your promotion will be impressive! Why using custom aprons for your promotion? Brand exposure : Your company will benefit from a good brand exposure as the logo is well placed on the apron. For sure, this product will enhance your brand visibility when your customers will use it, as the brand logo will catch people’s attention. 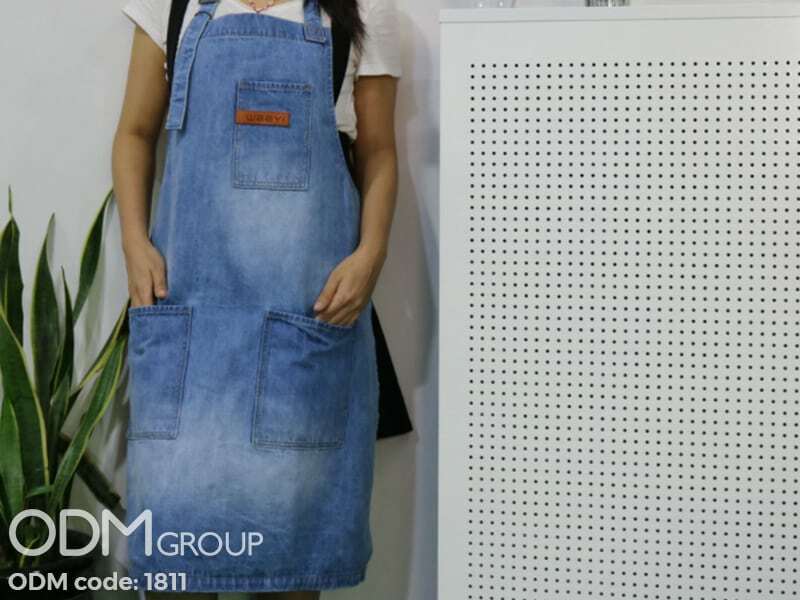 High-quality: With this 100% cotton, durable and eco-friendly vintage apron, you will impress your customers as it is such premium marketing gift. Practicality: Customers will enjoy to have this apron as it is a very useful accessory in every kitchen. Moreover, the pockets can keep all your customers favorite supplies. It makes a good promotional product.